We are a renowned manufacturer of laser marking machines that is available in MK-series. 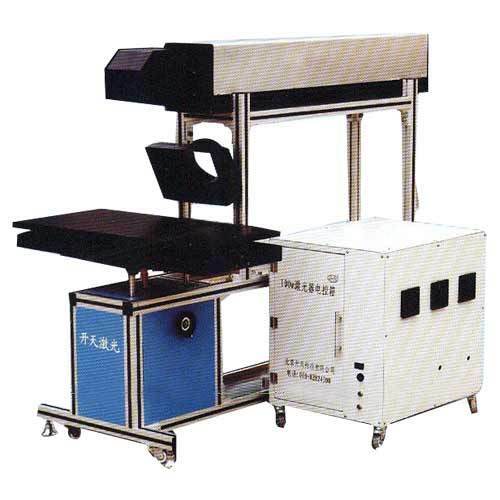 Fabricated using quality material, this laser marking machines is widely used for scanning a wide range of products such as art gift, garment, leather, fabric, toy, computerized and clipping, packing and printing, paper product. The laser marking machines is also suitable for advertising decoration, nonmetal material such as bamboo, plexiglass, acrylic, putamina of coconut, cloth, leather, woolens, rubber, and paper. Established in 1988, we have made a mark in the global market with our quality products. We manufacture, export and supply superior quality products using cutting edge technologies and stringent quality measures. We ensure that our products deliver the perfect solution for our customers. We have head office at Calicut. and our other branch offices are at Mumbai, Hyderabad, Kolkatta, Delhi, Chennai, Trivandrum, Vadodara, Bhopal & overseas ofices at Abudabi, Dubai and Sharja. We source our raw materials from japan and other vendors. Our range include rubber stamp holders, rubber stamp machines, stamper holder, exmark holder, rubber stamp making machine, flash machine, stamp holders, stamp ink, sun stamper holder and laser marking machine.